Who doesn’t love the idea of suddenly, unexpectedly coming into a lot of cash? Although this idea of a cash windfall sounds great in theory, the reality isn’t always quite as fantastic. Receiving a lot of money — especially when you didn’t know or expect it — can also introduce a lot of financial complexity you weren’t prepared for. It could even come with some unwanted baggage. We like to dream about receiving extra money. But having this actually happen to you can leave you feeling anxious, confused, and afraid. It brings up a lot of questions that need answers — and you may not know how to respond. Can You Answer the Questions a Cash Windfall Prompts? What should I do with a cash windfall? How do I allocate this money? How much should I save — and how much can I spend? Do I owe taxes on that money? Does it come with strings attached? Are there things I’m missing here, or didn’t think about? Questions like these are common and often to lead to indecision and inaction (or plain old bad decisions). That’s understandable; no one wants to receive this opportunity to get something valuable, invest for your future, or otherwise increase your satisfaction or wealth. But making choices about cash you have in your pocket right now, rather than just dreaming about what you would do with money you don’t have, are two different things. It’s not always easy to actually act when you go from dream to reality. Your emotions get involved, and that can derail you from making the best decisions. The good news is that you may be able to avoid many of the pitfalls that cause other people to screw up the opportunities a cash windfall provides — you just need to take a few simple steps. You could call money you earn from your paycheck or other income sources “gradual money.” This is cash you expect to receive and plan around each and every month. You budget based on this money. You set your savings rate based on gradual money. You plan for goals around it. “Gradual money” tends to increase over time, as you gain experience and expertise in your career and earn more (or switch jobs and change positions to get a higher salary). But the amount you have available increases incrementally — gradually — which doesn’t tend to trigger any big emotional reactions. When you get a raise, promotion, or new position that pays more, it’s exciting at first, but the small amount of “more” you have is something that’s easy to adjust to. A little extra goes to your 401(k); maybe you allow yourself to spend a bit more; you contribute more to your brokerage account every month. The increase is gradual, which means it’s more manageable, too. Then there’s “sudden money,” or the kind of money you get from something like a cash windfall. Maybe it’s an inheritance you didn’t expect, or a huge jump in the value of your equity compensation. This money tends to come all at once — and even when it’s expected, it can still come as a shock to actually have a big, dramatic, and sudden increase in wealth. It’s a bit like jumping into a race car for the first time and putting the pedal to the metal when you typically drive the family minivan. Your emotions are going to go for a ride, which is natural. The key is to understand what you’re dealing with and to acknowledge that you are emotional… and then to back away slowly from making any major financial decisions immediately after hearing the news that you’re about to receive a lot of cash. Seriously. Back away from the financial decision making process! At least for right now. Take a moment to let yourself be emotional and feel everything you’re going to feel. 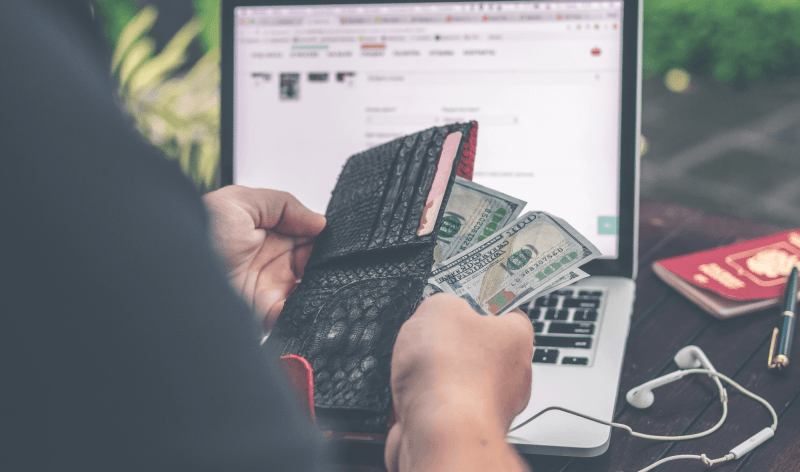 Many people don’t understand, or aren’t aware of, the distorting effects that money can have on our lives… particularly when it comes suddenly and in large amounts. People may begin to feel differently about themselves and others. They might even lose touch with what they value most. Hopefully, though, this state of being is temporary, and you’ll soon settle back down into what’s normal for you. Emotions aren’t inherently bad. Money is emotional and there’s no point in trying to deny that reality. Don’t resist it… but don’t put pressure on yourself to take action right away when you’re in this emotional state, either. While inaction or indecision can negatively impact your finances, you’ll likely do far more damage if you react emotionally. Take a bit of time to let the news of your cash windfall sink in — and once you feel more calm (or emotionally level), then consider some action steps. What’s my financial health like right now? Am I building my net worth or am I in the red with debts and liabilities? Am I happy with my current cash flow? Is there a financial to-do I’ve been meaning or wanting to do, but haven’t yet? Do I have outstanding taxes? What about my financial habits — am I motivated to save and invest to meet my goals? Do I have financial goals? How do I want to live? What does my ideal lifestyle really look like (and can I capitalize on this opportunity to achieve it or fund it)? What’s truly important to me? Evaluating your situation will likely be a lot easier if you don’t do it in a vacuum. In other words, this exercise is far more effective when you talk to an objective third party. This should be someone you know will be honest with you; someone who will put your interests first and encourage you to do what’s best for you right now and what’s best for future you, too. In addition to looking at your own circumstances, consider how you got that cash windfall in the first place. If it was an inheritance or it came from the sale of stock options, you might have a lot more cash on hand now… and a giant tax bill coming in the spring. Or, you may not — which is why it’s important to ask the questions. By thinking about all aspects of the situation (and how you got the cash in the first place), you can better plan out how to allocate and use your money to maximize this opportunity to grow wealth. After taking time to ask yourself some important questions and talk to others, you need to get organized and establish your priorities. A cash flow statement (or a spreadsheet that tracks your income and your expenses). An idea of what you might like to use your money for (you don’t need specific goals, but you should at least consider the kind of life you want to live and how you’ll fund what’s important to you). Getting organized will help you see your financial situation with more clarity. Hopefully, between this organization and the questions you asked yourself earlier, you’ll see some obvious priorities emerge. But precisely what to do, and in what order you should take the necessary actions, can get confusing and complicated. Instead of guessing, or feeling uncertain, or just not doing anything, get help and support. If you want to figure this all out on your own, go for it. But take responsibility for educating yourself and learning everything you can about finance, financial planning, and investing to grow wealth so that you can make empowered choices. If you want expert help and guidance, now is a good time to consider working with a planner or advisor — and one that is there to help you figure out what is best for you to do. That means they should be fee-only, a CFP, and a fiduciary. There’s a reason the most successful athletes don’t just wander around on their own, making up their own training regiments and practice schedules. They work with coaches who can provide guidance, accountability, and support. As James Clear writes, most of us don’t lack motivation to do the right thing. What we lack is clarity. And when you need to avoid making rash, irreversible decisions with a cash windfall — or any aspect of your finances — a little clarity can go a long way.